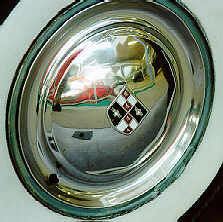 The cars in the pictures, Philip and 179, were built by hand under conditions of extreme secrecy at the beginning of the 1950's. They were test-driven and investigated down to the smallest detail. But things never went any further. Philip and 179 finished up among the prototypes which did not come up to standard in the severe test programme. And, for this reason, these models never rolled off the Volvo production line. Philip was designed with a thought to the future, and included many new features such as automatic transmission, power assisted steering and servo-brakes. This six-seater car was powered by a 120 h.p. V8-engine which gave it a very good performance. The problem with Philip and 179 was that they were too modern. 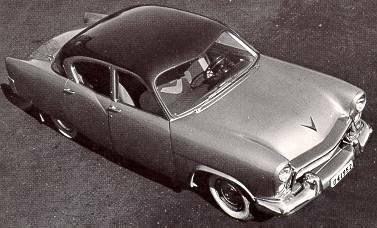 The Swedish market, which then dominated Volvo sales, was not ripe for large and comfortable cars during the 1950's. The average car buyer was not interested in an automatic transmission or a powerful V8-engine. In spite of the fact that both prototypes were laid to one side, they have by no means existed in vain. To start with, a prototype is an excellent way of testing new designs. Furthermore, experience gained in connection with certain features is very useful when carrying out minor modifications on the car models already in production. It is reported that The Philip was constructed from early fifties Henry J and Kaiser Manhattan parts, right down to the Henry J "V" in the hood and trunk, to the tail lights, the "widow's peak" in the windshield and backlight, the bumpers, doors (The dip in the rear door is a dead giveaway), Even the color is classic Kaiser. The streamlined 179 had plenty of room for both passengers and luggage. The engine was a dependable unit - the same as in the PV 444. The 1800 Rocket. 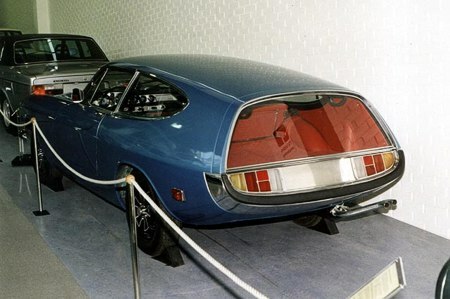 This is one of two ES prototypes and was nicknamed the 'Rocket' because of its shape. It was built from a coupé taken from the production line and sent to Frua for this prototype to be built. The original was white then repainted gold by Frua. It is now metallic blue and seen here in the Volvo Museum.